All our vehicles are fully adapted and in compliance with the current legislation to be able to transport medicines of all kinds to any corner of Europe. We invest constantly in technology and communications, in order to be able to respond to our customers in a fast, commercial and reliable way. As a result of this policy, we have developed our own fleet tracking program, capable of indicating to our customers in real time the situation of the vehicles at their disposal, from their own access to the internet. 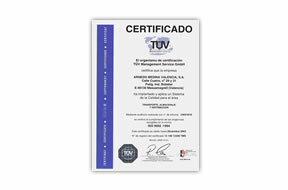 We have the certifications ISO 9001-2008 and the IFS LOGISTIC, in addition to the validation QS.